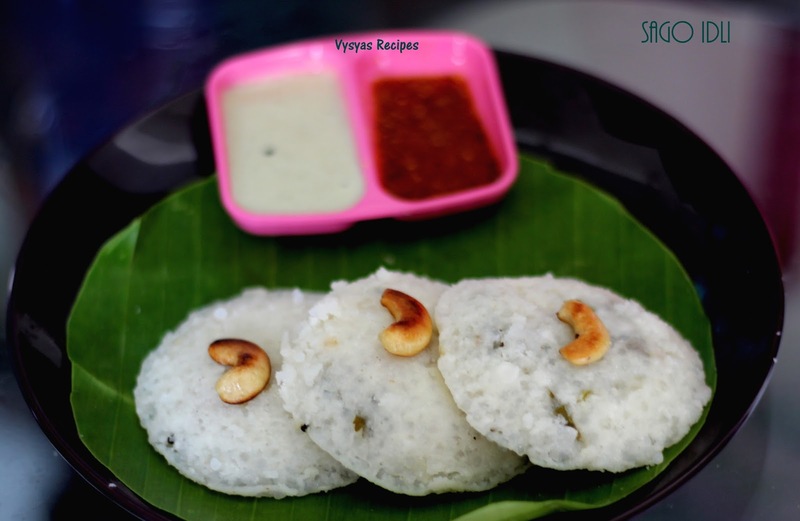 Sago Idli is an Easy Breakfast Idli Recipe, made with Sago,(Nylon),sour curd and some tempering. I had this idli when i went to my cousin's wedding. Idli's tasted Awesome. After some days i tried this idli at home it came out well. so i wanted to share it with you. Sago or sabudana is a food which is full of energy and carbohydrates and it is used as breakfast Recipe.Pearl sago is used as one easily digestible non-irritating baby food, as well as a food in inflammatory cases.Sago along with rice is used to cool the body. In various parts of India, it is used as fasting food. Now we learn to make filling breakfast Recipe. Idli Rice Rava - 1 cup. sour curd - 2 cup. Grated Coconut - 1/3 cup. 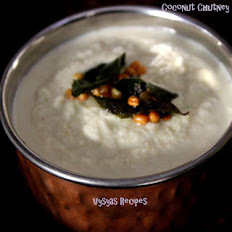 Take a wide vessel add Idli Rice Rava,sago,sour curd ,needed salt and water. Mix well. Allow it to ferment for 8 - 9 hours or overnight. After Fermentation, curd and water might be absorbed by sago. Check batter consisteny, if it is thick, add few spoons of water,and bring it to idli batter consistency. Heat the pan add mustard seeds when it splutters, add cashews saute till it turns golden brown colour, then switch off the flame. 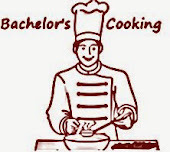 Add curryleaves and cilantro to the pan, saute for few seconds, it gets cooked in the heat of pan. Now pour the tadka over the batter, add Grated coconut to it & mix well. 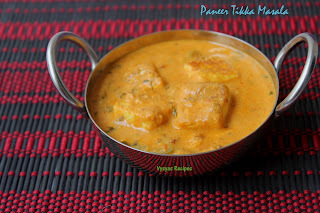 Now take idli mould,grease the oil over it, spoon it with batter. Steam cook for 15 minutes or spoon comes out clean.Then serve hot with coconut chutney,podi or saagu. After fermentation add needed water according to batter consisteny. 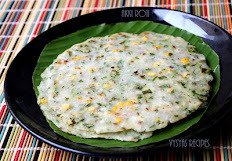 you could also add grated carrots to this idli batter. it taste Good when idli's are Warm.